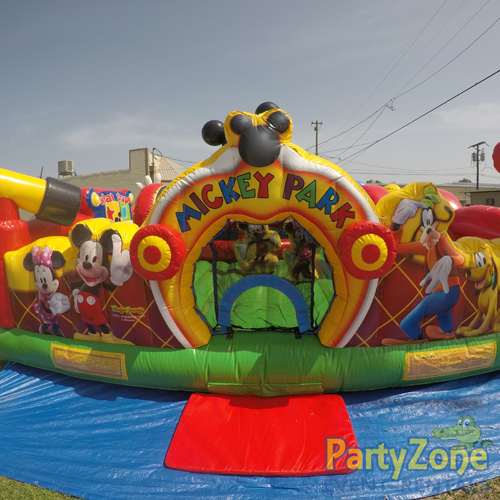 Setup area: 16ft H x 28ft W x 28ft L | Pathway of 36"
The Mickey Park Learning Club toddler playground bouncer has some of the most exciting features Disney Junior has to offer in an inflatable learning interactive bouncer. It’s a perfect way for the toddlers to experience all Mickey has to offer in his clubhouse creating a magical atmosphere for any little one’s party. 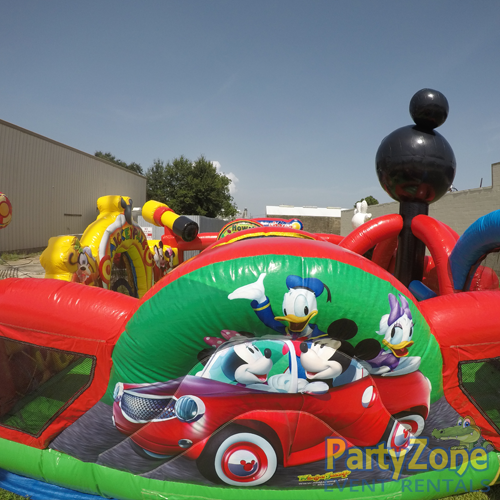 The toddlers will be greeted with Mickey Mouse, Minnie Mouse, Goofy, Pluto, Daffy, and Daisy upon entering the 20’x22’ playground with 440 ft2 of bouncing area. Invite the Mickey Park Learning Club inflatable toddler bouncer for your little ones who will have an amazing time with plenty of educational learning activities such as counting, matching shapes, and more for hours of bouncing fun. 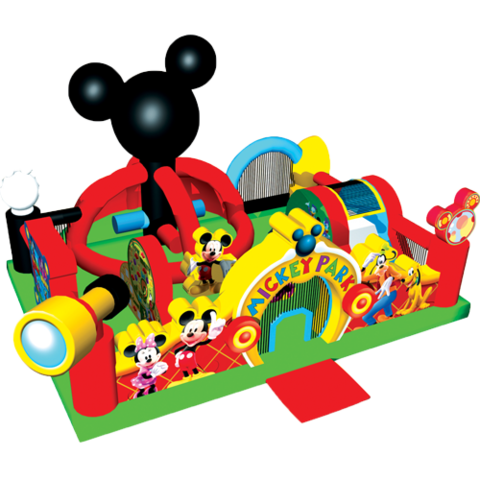 Our licensed Mickey Mouse theme toddler interactive bouncer comes with a sense of magic within the clubhouse delivered to you for any toddlers between the ages of 3 and 7. 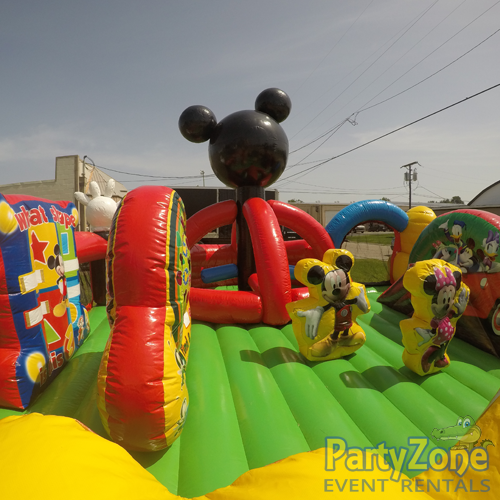 Inflatable toddler playgrounds are a perfect way to combine fun and healthy activity all while adding a centerpiece for any kids Mickey Mouse or Minnie Mouse theme party! While safety is our top priority, this toddler bouncer has low side walls so the parents and/or attendants have a clear view of all the fun. Please be aware of any setup area requirements as well as other rental requirements prior to reserving your inflatable party rental. Dry Use Only: This unit is NOT approved for water usage during operation, it is dry use only for your safety.